What a wonderful weekend! May Sale Time! It was a beautiful weekend at The Maryland Sheep and Wool Festival. The weather was wonderful, flowers were in bloom and the patrons came out. Here are some photos of the event. It is May Sale time! We have Berroco Ultra Alpaca, Tahki Tara Tweed and S.Charles Collezione Luna on sale this month, online and in the Yarn Shop. The lambs are growing and are being weaned when ready. We hope to get some out in the pastures sometime in the next week or so. Looking for that perfect Mothers Day Gift? Visit The Yarn Shop. Yarn, knitting needles, and more! Not sure? We have Gift Certificates! Sign up with your email address to receive news and updates in your email box. We respect your privacy. Emails will never be shared. 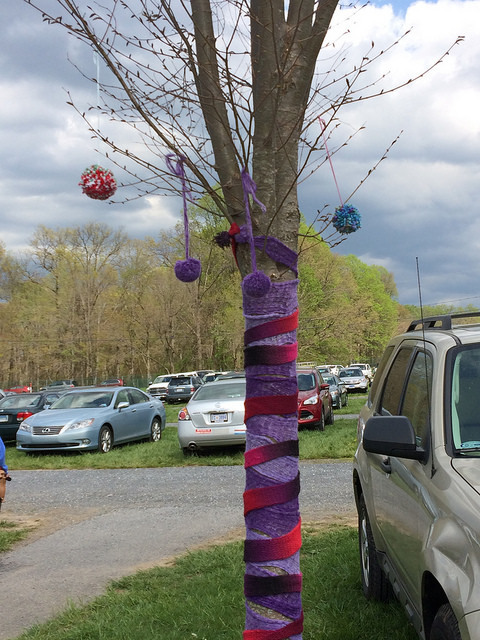 Posted on May 8, 2014 by Melanie Hayes and filed under The Yarn Shop and tagged festival spring farm Yarn Shop sheep.